There are some things kitchen renovations can change… and some things they can’t. In Edmonton interior design, it’s important to spot existing potential and look for permanent features to accentuate in order to make the most of your kitchen renovation or home decor change. Here are our five top drool-worthy kitchen design ideas and why we love them. We adore these large bright windows that let in tons of natural light, making the space airy and open. 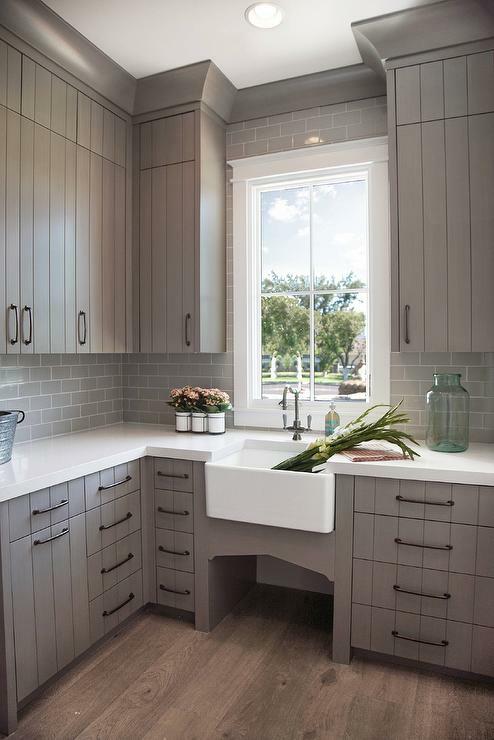 Windows like these aren’t easy to create from scratch, so be sure to be on the lookout for existing light when you’re looking at new kitchens or considering an update. Not all homes have the square footage to allow for a pantry of this scale, but there’s nothing like an over-the-top feature to spark bold interior design ideas. The storage room pictured here is great because you can easily see all your ingredients, and the opportunities for recipe ideas and creative twists are endless. We love home decor that maximizes the best parts of what a space has to offer. 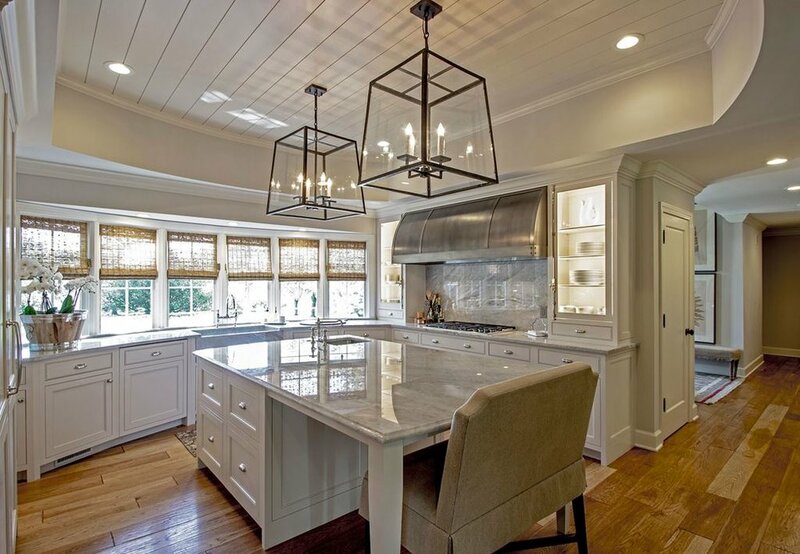 The kitchen design here accentuates the high ceilings and makes a stunning, glamorous statement. We’d love to prepare a Sunday brunch over those dreamy cabinets. Now we realize a kitchen like this isn’t feasible in Edmonton, but it doesn’t hurt to dream. 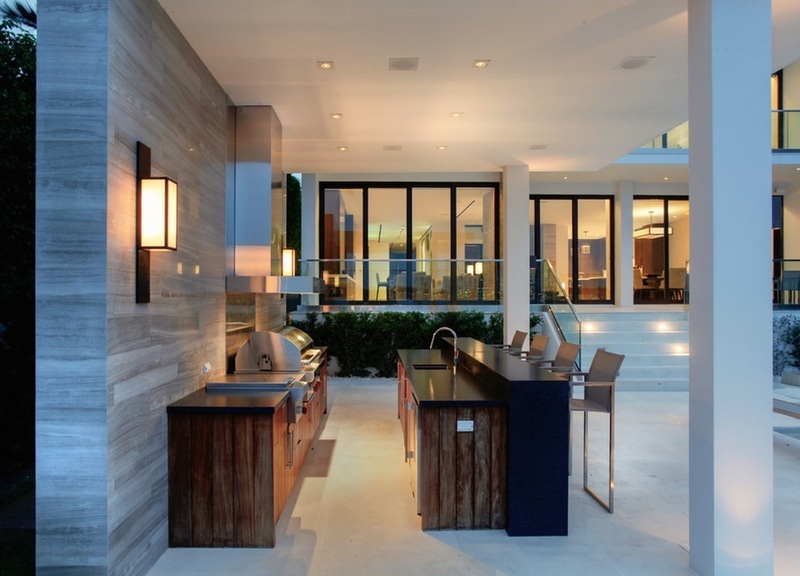 The sleek lines, modern finishes, and muted colours in the kitchen pictured here create an elegant design and really make us wish we could grill a delicious meal in this outdoor space. The skylights here aren’t easy to add to your space, but they make an incredible focal point for the lucky owner of this home. The playful mix of copper and gold is intriguing, and the beautiful windows help create an area where we would look forward to preparing big family meals, or a late night snack under the stars. At Jostar, we care about making the most of your particular space and creating a kitchen that is entirely your own. Your countertop and backsplash play a huge role in determining the feel of your kitchen. That’s why it’s important to put a lot of thought into the style you want to create and what materials and colours will help you get there. Here are five interior design ideas that are trending right now, and some handy advice to translate each idea into your home! In this kitchen, we see a bright white countertop paired with tiles with sharp lines that work together to create a sleek and elegant vibe. When you’re choosing tiles for your backsplash, be sure to think about how the lines will flow with the rest of your kitchen too. Here, we love the mix of the soft grainy lines on the floors and cabinets that help make the sharp edges in the backsplash really pop. This kitchen is stunning, but the particular area that’s pictured actually isn’t that big. To achieve something similar with your home decor, consider creating a tile mosaic or a unique brick layout like the one pictured here. The unusual lines and mixing tones create visual intrigue and make a small space interesting and personalized. The kitchen pictured here uses a dark teal for the countertop and the backsplash, but it completely works without being overpowering. We love the structure of the backsplash tile with the natural concrete elements in the countertop. If you want to bring something like this into your kitchen renovations, try mixing materials but using similar, bright colours in your backsplash and countertop. 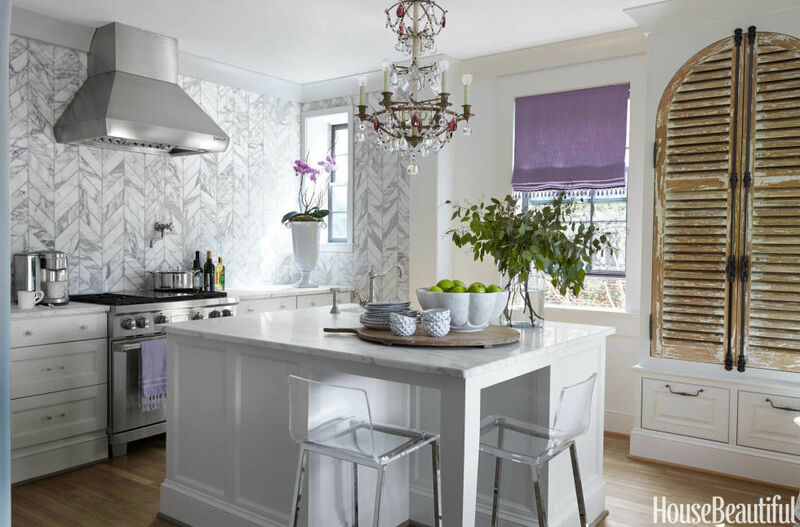 Something that really stands out about this kitchen is the use of soft greys and whites to create a design that is anything but soft. The backsplash goes all the way up the wall, which adds to the bold vibe. To do something similar with your kitchen design, select an elegant countertop and complimenting tiles for your backsplash. 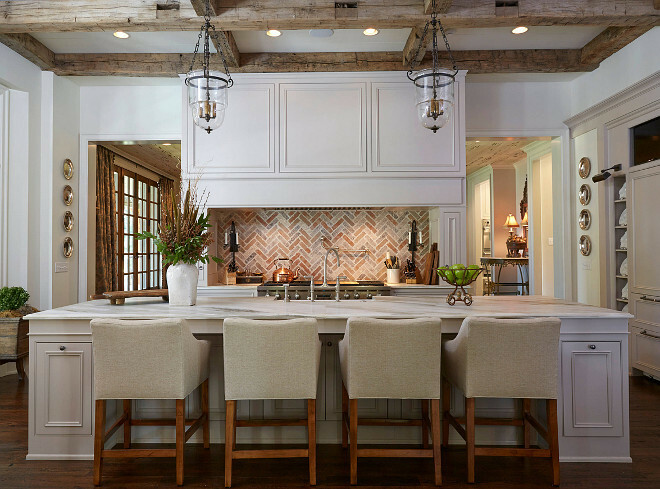 In the backsplash, opt for a pattern with playful flair, like the chevron pictured here. The contrast between the shiny countertop and the rustic brick here is really making us swoon, and experts at Jostar can help you bring inspiration from this kitchen to your own. Consider mixing the textures of your counters and backsplash, and using multiple layouts within the backsplash for even more of a statement. In Edmonton interior design, it’s important to consider how every element of your kitchen will affect the overall design. When it comes to countertops and backsplashes, create combinations that work together, but also contrast each other slightly to create a truly one-of-a-kind space.